​Arsenal have had numerous problems over the last few seasons that have held them back from being a serious Premier League contender. A lack of quality, a misplaced attitude, a manager who was ultimately too stubborn to adapt. There is hope that with a restructuring of the club, a fresh approach led by executive Raul Sanllehi, recruiter Sven Misltintat and coach Unai Emery that the Gunners will take a step forward and return to a level where they can be one of the best in England and in Europe. 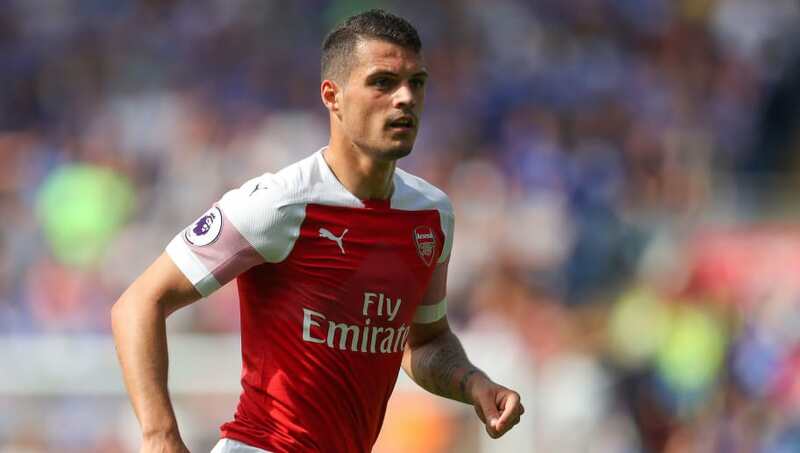 There are still changes and tweaks to be made and the ideal may not even come to fruition, but the sooner Arsenal can get rid of Granit Xhaka, the sooner they are likely to start achieving. The Swiss midfielder only signed a new long-term contract in June. That deal promises to keep him tied to the Gunners until the summer of 2023 and shows faith that appears unwarranted. Xhaka is a liability, isn't the right player for where Arsenal want to be and has come no way near justifying the reported £35m it took to buy him from Borussia Monchengladbach in 2016. He commits too many fouls - 10 already this season, almost double the amount of any other Arsenal player, yet he has made only six tackles, barely half as many as midfield colleague Matteo Guendouzi (11). The raw Frenchman is the polar opposite of Xhaka in terms of attitude. Xhaka's persistent fouling means he is regularly booked and often a suspension risk. He has been cautioned three times in only four Premier League games this season. Another two and he'll be banned for one game. It's counterproductive and there is almost an inevitability about it. His backers can quote impressive sounding statistics regarding passes and touches to sing his praises - Xhaka made more passes (3,116) last season than any player in the Premier League, while he also had more touches of the ball (3,688) than anyone else. But those numbers mean very little in reality because they don't translate into positive game changing activity. It's as though he doesn't particularly care about winning as long as he can pass from side to side, receive the ball and rack up the numbers to make it look like he is playing well. The actual important stuff...discipline, vision, desire...just isn't there. "Xhaka...disgraceful," Phil Neville said in a tirade in his role as a BBC pundit this summer after Switzerland had been knocked out of the World Cup by Sweden. "The goal itself. He just went to the floor [and] he let [Emil] Forsberg go past him too easily too many times in the second half. He cost his team the goal, because Forsberg comes inside and he just literally lets him waltz across him. Does nothing. He's a holding midfield player. He's fake. "He's probably sitting in the dressing room thinking, 'I've had a good game today, I've passed it to my own players a couple of times sideways'. We see this week in, week out for Arsenal." Gary Neville had been no kinder when commentating on a Premier League game six months earlier. When informed that Xhaka had touched the ball more times than any Arsenal player in the season, his critical retort was "...he takes four touches when he should be taking one". Xhaka has fine technical ability. Pundit Alex Scott noted on Sky Sports after England's friendly with Switzerland this week that he was made to look like a world beater because he was given time on the ball. Equally, his World Cup goal against Serbia was a thing of beauty. To be able to strike the fast spinning ball as cleanly as he did is an incredibly difficult skill. The test for Unai Emery is turn a talented player with misplaced ambitions and a lazy attitude into an effective member of the Arsenal squad. Otherwise, the Gunners are far better off without.